Learn to manage emergencies such as strokes, dislocations, major wounds, poisonings, choking, spinals, heart attacks, seizures, hypoglycemia, heat stroke and more by enrolling in Ontario WSIB approved standard first aid and CPR training. This is one of many courses offered at Hamilton First Aid which is the leader in workplace safety, first aid, CPR and AED training. Many courses are available with this provider including WHMIS, TDG, confined space entry, food handling, first aid re-certification and more. Visit the Hamilton First Aid website here for a complete list of available certification programs. Contact information for this provider is available below as well as all the available courses as well as course content for a standard first aid certification course in Ontario. If you have any questions regarding classes and enrollment, you can contact the Hamilton First Aid website with the information below. Friendly and knowledgeable customer service staff are available to take your calls from 7 am to 7 pm every day of the week. What Will I Learn in Standard First Aid? Start your training today and check out the video posted below. To register for a standard first aid course use the contact information posted above. Find out what course you need using the contact information posted above. Once a trainee completes a course, he or she is awarded a workplace approved training certificate, valid for three years throughout Canada. The certificate will be able to meet almost whatever requirement or purpose the trainee needs it for. Refresher courses are held twice a week for the re-certification of current certificates. 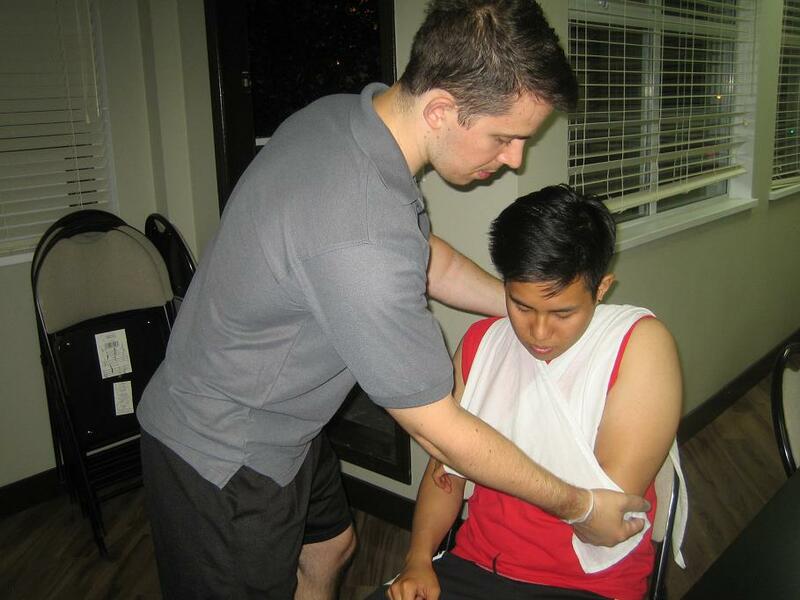 All standard first aid and CPR re-cert courses provide certificates that are valid for 3 years and that meet workplace standards for first aid in Ontario. 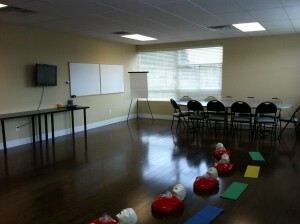 Hamilton First Aid offers all classes at the lowest rates in the area. Program prices include taxes, certification fees, and training manuals. There are no additional expenses incurred during the training period. Should a trainee be unable to complete a training course, he or she is entitled to a full refund, provided a 72-hour notice is given. All classes are overseen and taught by workplace approved certified instructors. The training facilities are also very high-end, with spacious and well-maintained classrooms with the latest training equipment for first aid and CPR training. The facilities are easily accessible as well. They are within walking distance to public transportation and amenities such as free parking. The anterior cruciate is a ligament just inside the knee joint. This is the most common injury in sports that involve sudden stops and changes in direction (basketball, soccer, tennis). Immediate symptoms of an ACL injury is swelling, pain, and inability to walk and bear weight on the knee. Others might feel a pop when the injury occurs. Depending on how serious the knee injury is, a person might need surgery for the ligament and to stay of the knee for several months. Rehabilitation might also be needed to get the knee functioning as normal as possible as well.